"I am pleased and honored to provide an Executive Comment to the Japan Space Review. I retired from the Space and Advanced Communications Research Institute of the George Washington University in 2008, and am now enjoying full retirement. My wife and I have moved from the Washington, DC area to Virginia Beach, Virginia where we live next to the ocean. Please allow me to highlight my wonderful career of over 50 years in space and space communications." Wideband InterNetworking engineering test and Demonstration Satellite (WINDS) "Kizuna", which was jointly developed by Japan Aerospace Exploration Agency (JAXA) and National Institute of Information and Communications Technology (NICT), was launched in February 23, 2008. "KIZUNA" (means relationship in Japanese) is a satellite designed to conduct field trials and demonstration of technologies to contribute to the formation of advanced information and telecommunications network society that will solve the problem of the regional disparities due to complementary terrestrial and satellite infrastructure. After the initial checkout in orbit after being launched, the experiments have been conducted utilizing the feature of the WINDS. This paper presents an overview of the basic experiments conducted by JAXA for about two years of five-year design life. "Liberalization of telecommunications, etc. are allowed to Ku band communications satellite, the company entered the market for commercial communications satellites. Since I was in charge of a Pilot Program in the Radio Research Laboratories (RRL) of Japan's Ministry of Posts and Telecommunications to promote private sector towards the use of the communication and satellites, I felt threatened by this Ku-band communications satellite. In this issue, I will write about this a few years of the launch of a privately-owned communication satellite company." This paper describes error-correcting codes for high-speed satellite communications that has been used recently in various systems, such as the LDPC. In Part 1, AWGN and erasure channel model, LDPC coding and decoding, error-correcting codes and the requirements for satellite communications was described. This Part II will introduce Rateless codes for erasure channel and LDGM code, which can be encoded using parity check matrix. "I spent two years from 2002 in the University of the South Pacific (USP) as a chief advisor of the JICA's ICT human resource development project, was involved with ODA rare opportunity in South Pacific island countries. From my view points ODA now have doubts about the government aid. " Professor Fujinobu Takahashi, Yokohama National University describes satellite communication technology in the medical field that is required in the South Pacific, especially Japan's ODA assistance. 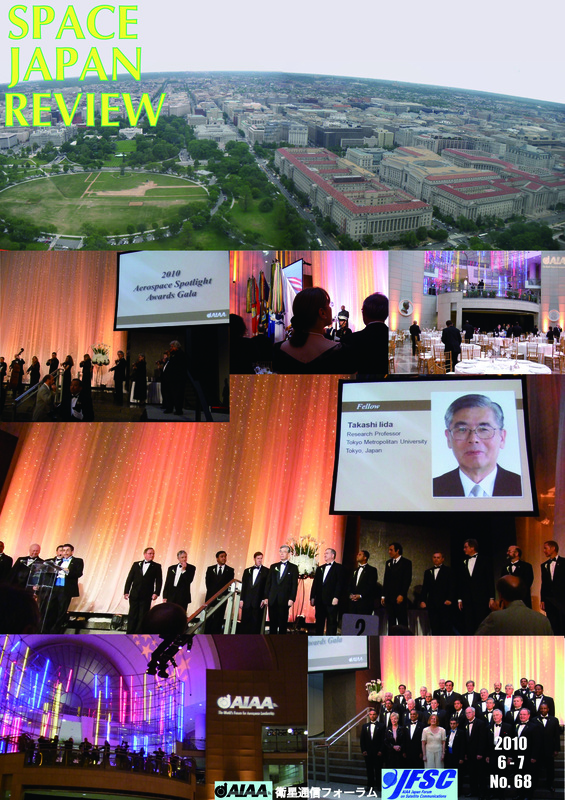 AIAA Fellow Dinner, Aerospace Spotlight Awards Gala, International Activities Committee (IAC) Meeting and Board of Directors (BOD) Meeting were held in Washington, DC during May 11 to 13, 2010. 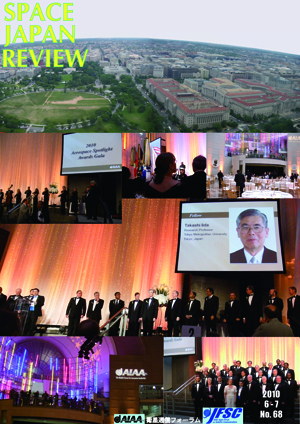 I attended these events and thanks to support from many people, I am honored to receive AIAA Fellow award. This a brief report of these events.